Each bottle has a description of the whisky flavor on the label. 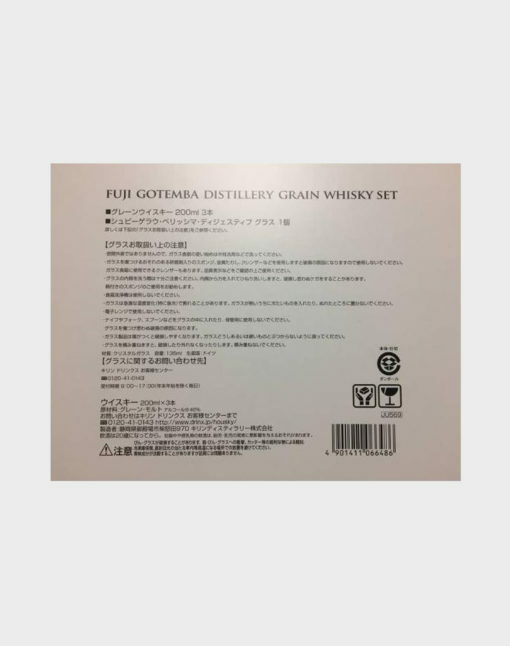 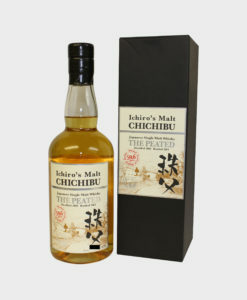 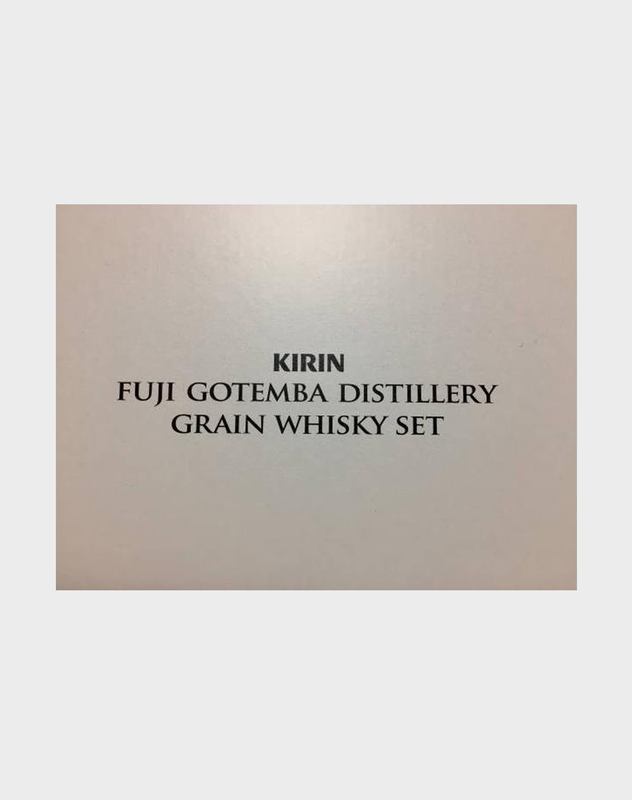 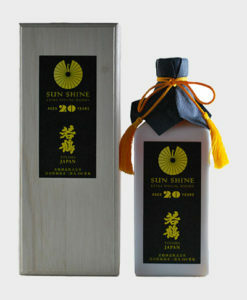 These three bottles feature the sweet and floral whiskies from the Fuji Gotemba distillery. 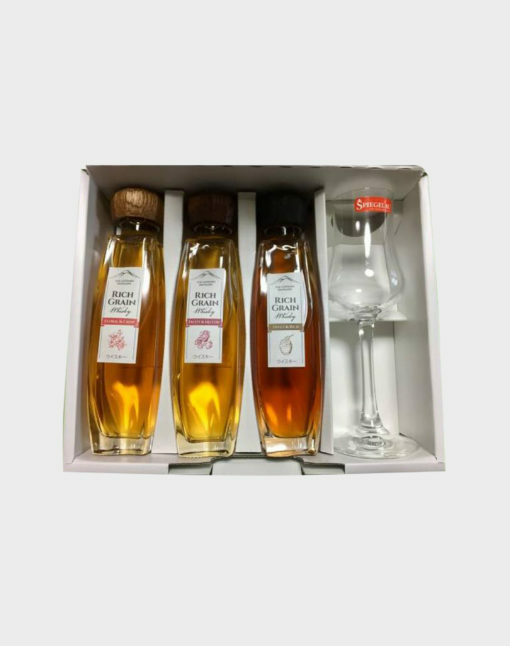 You also receive a small and sophisticated tasting glass for your convenience, making this a wonderful gift set for the whisky fan in your life.